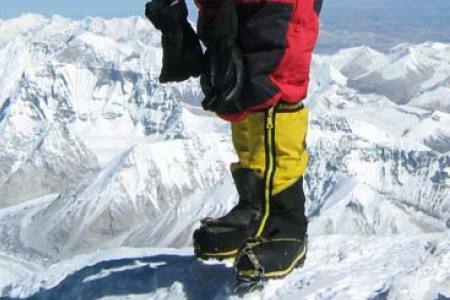 Langtang is a narrow valley that lies just below the main Himalayan range to the north Tibet Border and a slightly lower range of snowy peaks to the south. 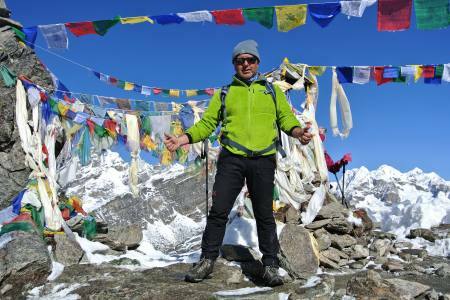 Langtang valley and Ganja La Pass, situated at north of Kathmandu, offers a multitude of trekking destinations. 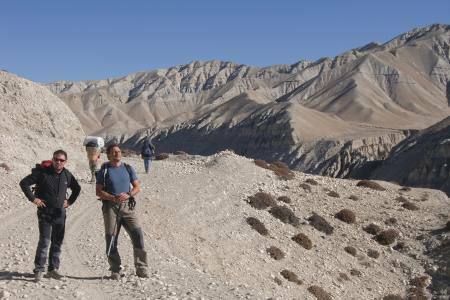 A visit to the Langtang valley offers an opportunity to explore Tibetan villages, Tamang Villages, to climb small peaks and to visit glaciers at comfortably low elevations. 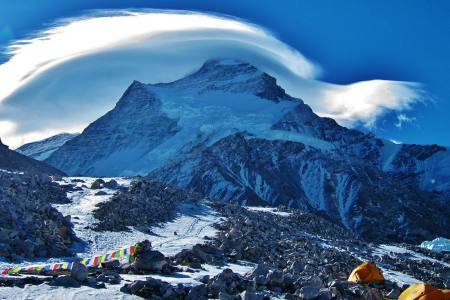 Kyanjin Gompa is a last Tibetan village in the valley, from where a trek starts to Helambu over Ganja La Pass (5,200 m). The pass itself is not easy. 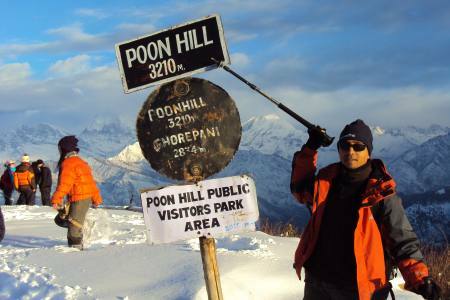 During autumn and spring the pass opens for trekkers. 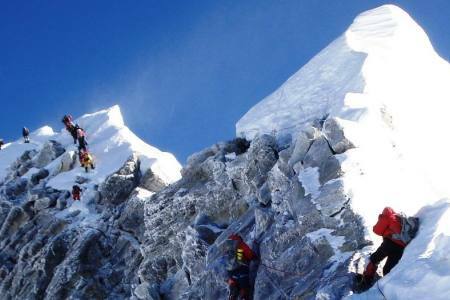 The trek passes through thick mountain forests with great Himalayan views and toward the end of the trip, you will also trek through some beautiful rice terraces and a number of splendid Buddhist monasteries. A trek over Ganja La Pass offers wilderness and adventure experience. If you are trekking during spring, the forest on the trail is colorful and blooming full of rhododendrons. 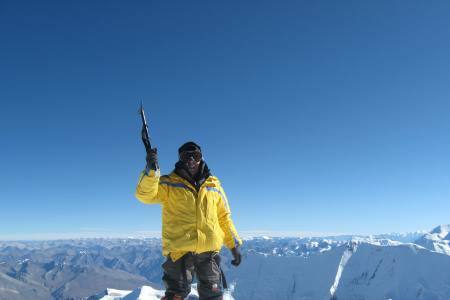 To cross from Langtang into Helambu via the Ganja La Pass is a serious undertaking requiring good equipment and experience from local guides. Day 02: Drive from Kathmandu to Syabrubesi(1500M/4,920Ft, 07-08hrs) Lodge accommodation. 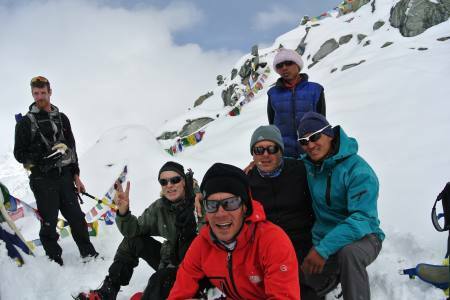 Day 03: Trek from Syabrubesi to Lama Hotel (2470M/8,102Ft, 4-5hrs) lodge accommodation. 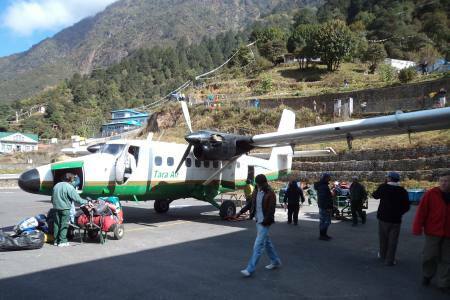 Day 04: Trek from Lama Hotel to Langtang(3430M/11,251Ft, 04-05hrs) lodge accommodation. 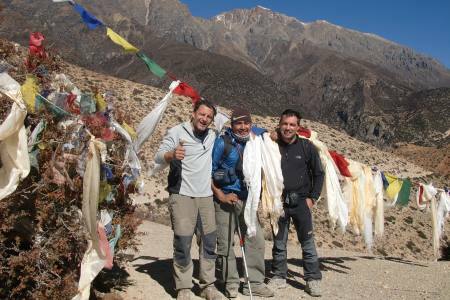 Day 05: Trek from Langtang to Kyanjin Gumba (3830M/12,563Ft, 05hrs) lodge accommodation. Day 06: Acclimatization day at Kyanjin Gumba at hike to Kyanjin-Ri (4773M/15,657Ft) lodge accommodation. Day 08: Trek from Ngegang to Keldang via Ganja la pass (4270M/14,007ft, 08hrs) lodge accommodation. Day 10: Trek from Dukpu to Tarke Ghyang(2550M/8,365Ft, 06hrs) lodge accommodation. Day 11: Trek from Tarke Ghyang to Sermathang (2620M/8,594ft, 05hrs) lodge accommodation. 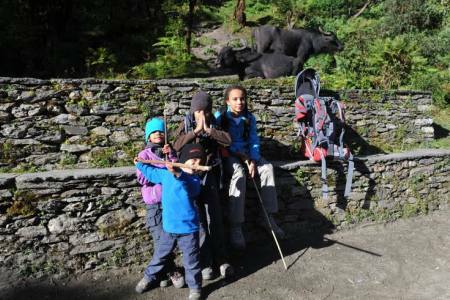 Day 12: Trek from Sermathang to Melamchi Pul (880M/2,887Ft, 05hrs) lodge accommodation. Day 13: Drive from Melamchi Pul bazaar to Kathmandu (1350M/4430ft) via Dhulikhel, takes about 05-06hrs. Overnight at Hotel. Day 14: Kathmandu, explore around Thamel, farewell dinner with culture program in the evening. Day 15: Drop to airport for final departure, or Join alternative activities. 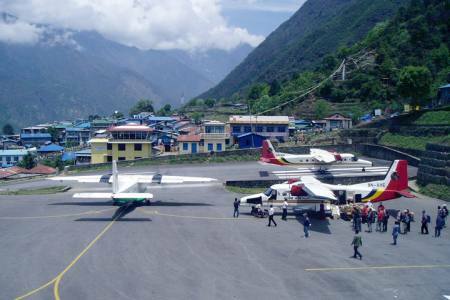 Day 01Arrival in Kathmandu Airport and transfer to request category hotel accommodation in Kathmandu (1350M/4430ft).After landing at the Tribhuwan International Airport, High Spirit Treks company representative will pick you and drop off at hotel. Overnight in Kathmandu. Day 02Drive from Kathmandu to Syabrubesi(1500M/4,920Ft, 07-08hrs) Lodge accommodation.Drive from Kathmandu in the morning for Syabrubesi, a village which is also the starting point for treks into the Langtang valley. Journey will be on a winding road through frequent switchbacks. 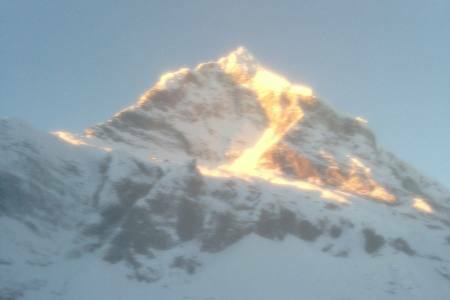 Outstanding views of Manaslu, Annapurna and Ganesh Himal can be seen on a clear day. Overnight in Syabrubesi. Day 03Trek from Syabrubesi to Lama Hotel (2470M/8,102Ft, 4-5hrs) lodge accommodation.After breakfast, we begin our trek to Syabrubesi along the Langtang Khola. the trail is ascend and descend simultaneously through oak and rhododendron forests. After crossing a bridge over the Langtang Khola (small river), we ascend on a steep trail which will lead us to the Lama Hotel. Overnight in Lama Hotel. 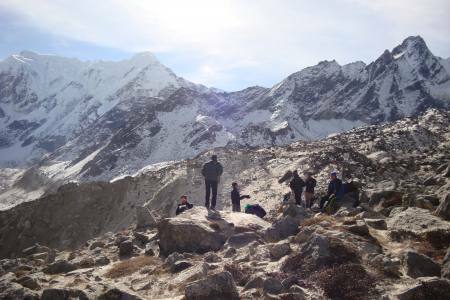 Day 04Trek from Lama Hotel to Langtang(3430M/11,251Ft, 04-05hrs) lodge accommodation.Continue ascending from Lama Hotel, enjoying the awesome mountain landscape with abundant waterfalls for our next destination, Langtang village. 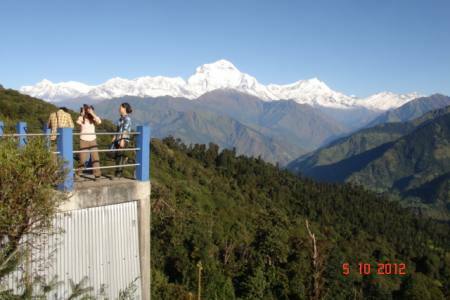 Along the route we can have the scenic views of white peaks of the Langtang range. Our trail continues to climb up the widening valley, passing a few temporary settlements used by herders. Day 05Trek from Langtang to Kyanjin Gumba (3830M/12,563Ft, 05hrs) lodge accommodation.Our next journey to Kyangjin Gompa, a principal monastery of the region starts today. 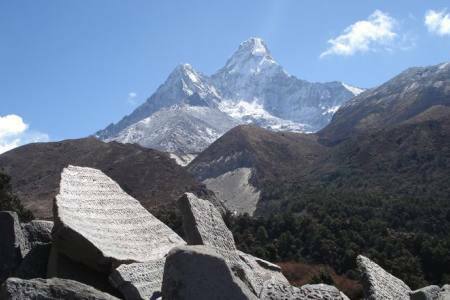 We walk through the trail enjoying the water mills, prayer wheels, chortens, with sacred mounds of rocks with inscriptions carved on the way, also the largest mani wall in Nepal, made from stone with prayers written on them. After reaching to Kyanjin Dompa, we spend the rest of the afternoon exploring the Buddhist shrine in Kyangjin Gompa and surrounding areas with the amazing views of the mountains. Day 06Acclimatization day at Kyanjin Gumba at hike to Kyanjin-Ri (4773M/15,657Ft) lodge accommodation.Acclimatize, spend the whole day exploring Kyanjin Ri. 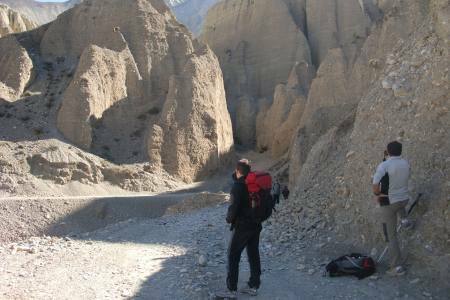 Explore around Kyangjin Gompa, enjoy the beautiful monastery with the amazing views of the Himalayas, glaciers, birds and yaks. 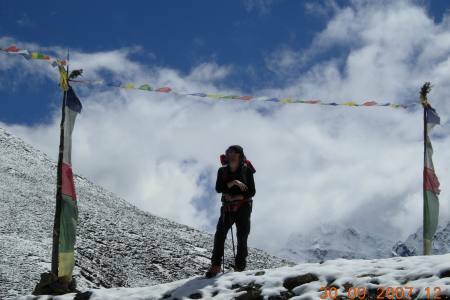 Day 07Trek from Kyanjin Gompa to Ngegang(4200M/13,777Ft, 07hrs), CampingTrek towards the next destination Ngegang. 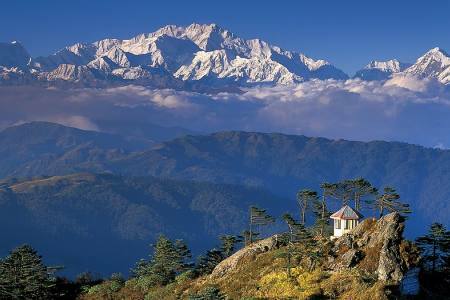 Along the way we can enjoy the majestic himalayas sights, scenic trail followed by the diversities of landscapes. The trail goes on ascending and the area is covered with natural vegetation. No villages can be seen in this area, hence no lodges are available. Day 08Trek from Ngegang to Keldang via Ganja la pass (4270M/14,007ft, 08hrs) lodge accommodation.Today is comparatively more strenuous as we have to cross the Ganja La Pass (4270M) covered with snowy ice in most months. 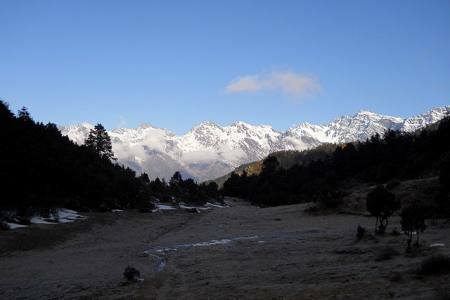 We start our trek from Ngegang crossing the Ganja la, a high alitude pass in langtang region. 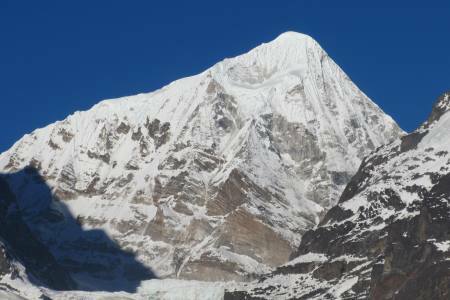 Day 10Trek from Dukpu to Tarke Ghyang(2550M/8,365Ft, 06hrs) lodge accommodation.The trail descends slightly before climbing over a 4,200 m pass, from where the spectacular view of the Annapurna and the Everest regions can be clearly seen. From the pass the trail descends through the pine forest, rhododendron forest past a tiny herder settlement called Tarkeghyang. 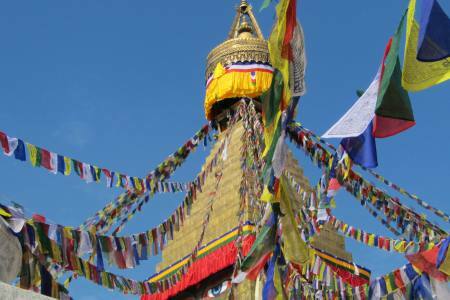 We can visit one of the oldest Buddhist monasteries and Sherpa villages in this region. Day 11Trek from Tarke Ghyang to Sermathang (2620M/8,594ft, 05hrs) lodge accommodation.This day the trail is quite easy through the flat land with beautiful forests and small streams along the way. 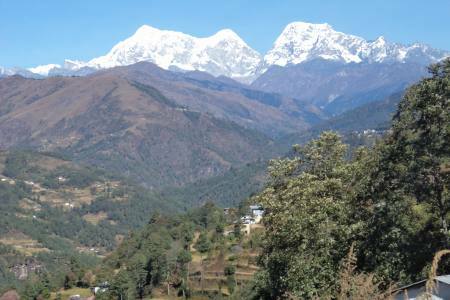 We’ll visit a beautiful village half way to Shermathang, another pretty Sherpa village where we can see many ancient monasteries and also the Jugal Himal range on the north face of the village. Day 12Trek from Sermathang to Melamchi Pul (880M/2,887Ft, 05hrs) lodge accommodation.The trail gradually descends all the way to Melamchi Pul/Bazaar through meadows and cultivated fields. Along the way, we come across several old villages with their own unique traditions. The walk today is quite pleasant with great mountain views. Day 13Drive from Melamchi Pul bazaar to Kathmandu (1350M/4430ft) via Dhulikhel, takes about 05-06hrs. Overnight at Hotel.After breakfast, we travel along a bumpy gravel path up to Lamidanda and then follow the metalled road up to Kathmandu. Day 14Kathmandu, explore around Thamel, farewell dinner with culture program in the evening. Day 15Drop to airport for final departure, or Join alternative activities.